If you already have a steady flow of views to your video (if you don’t, you can get more views here), it’s time to take it one step further. You want people to like your video (upvote it / give it thumbs up) and show how well received it was. 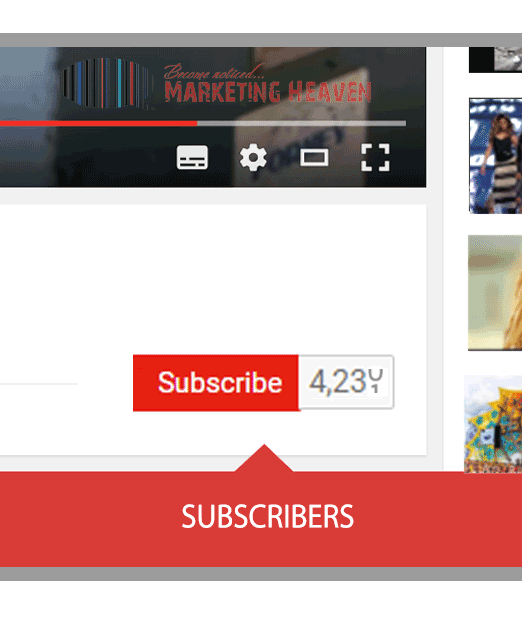 We will create a custom YouTube likes campaign for you and your videos… completely safe and risk free. 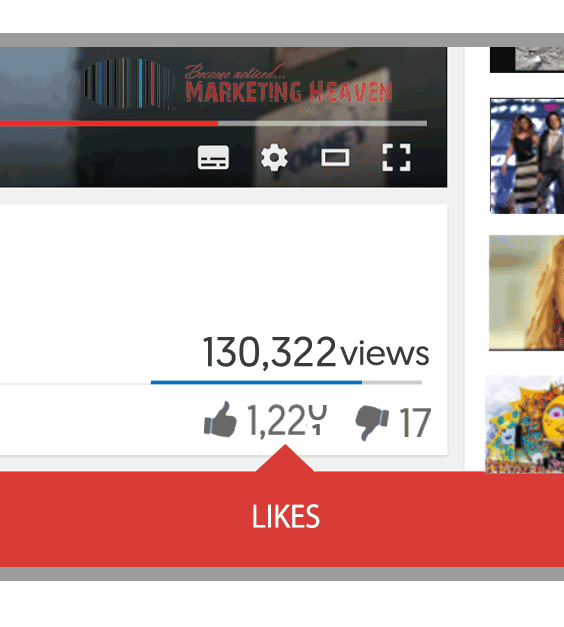 Apart from views, likes are the second most important factor in making you popular on YouTube. A healthy views to likes ratio adds extra credibility to your image. 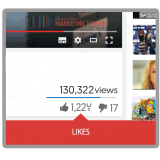 Why You Should Get More Likes For Your YouTube Videos? Social media is not only our way to communicate with other people but also, a medium to showcase what we have such as talent, beauty, and character. Perhaps, this is why each platform has its own version of ‘like button’. Generally, people click on it to express their satisfaction or excitement about what they are viewing. 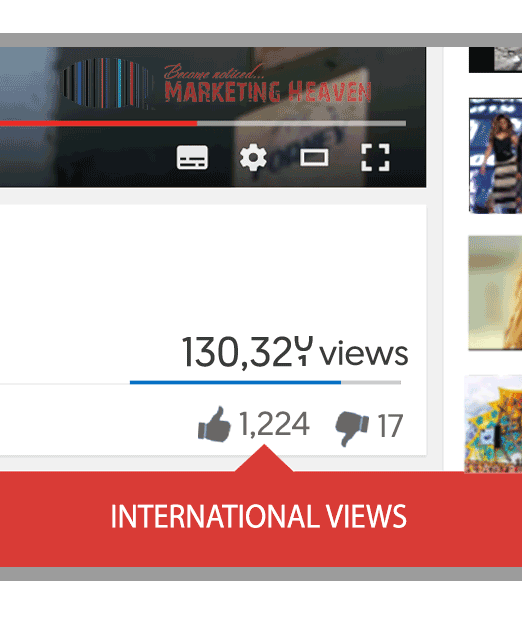 On YouTube, likes represent the number of claps or cheers from happy viewers. The number of likes your video has on YouTube shows how good or bad your video is. Along with views, subscribers, and comments it’s a measure of engagement and satisfaction with your video (or dissatisfaction in terms of dislikes). When you buy YouTube likes, or get them organically, viewers new viewers watching your video will be more likely to engage with it, like it, or subscribe to your channel. People generally think that if a video has a large number of likes, it means it’s good. As a result, more people watch it simply because they think that it is worth watching. This especially happens if the number of likes is significantly higher than the number of dislikes. A popular video (i.e. one with a lot of likes and views) has higher chances of ranking higher on YouTube. It’s almost the same as using Google where it displays the most relevant sites on its first page. Although YouTube and Google have different algorithms, it works almost the same. Furthermore, a well-liked YouTube video is used by the platform when recommending ‘related’ videos. YouTube’s major factor in algorithm involves the viewer’s retention. This metric calculates the length of the entire video which is then compared to the time spent when watching it. The higher the viewer’s retention, the more significance is given to the video. Having a large number of likes invite viewers to watch the video even longer, regardless if it’s being understood or not. Therefore, if you want your videos to stay on top, you must remember three things: first, create a content worth-watching; second, generate likes manually or by buying it; and third make sure it’s shared all over the social media world. A well-liked video tends to be shared more because it has more indicators of being worth sharing. Once shared on different social media, the video has the chance to gain more likes again from the untapped viewers. This is how videos go viral. Getting more likes on YouTube will present you different opportunities. Let’s say you created a makeup tutorial on YouTube which garnered 15 000 likes. This will not only make you popular, but also might give you a chance to be viewed by different makeup companies who, in return, might provide you with sponsorship opportunities and new monetization options. A lot of YouTubers already have made millions in ad revenue all because their videos have a large number of subscribers and likes. Their videos have opened the doors to income and popularity. Some have even scored endorsements from different brands and companies while others have received awards. There are many things that a lot of YouTube likes can help you with, especially if you aim to make money or become popular on YouTube. By creating powerful and meaningful content, you will be able to make your videos unique and worth watching. Buying YouTube likes, or getting them organically, will help you with building engagement and improving your online image. Remember though, no matter how many subscribers you have or likes you receive, you should never forget to engage with people who make time to watch your videos. Delivery usually starts within 24 hours. We don't split YouTube likes campaigns, it's one per video.